Aw crap. I really thought I was done buying guns. Man, these look pretty awesome. I really hate both you and Beretta right now. I might be selling a SIG or two to fund a Beretta or two. 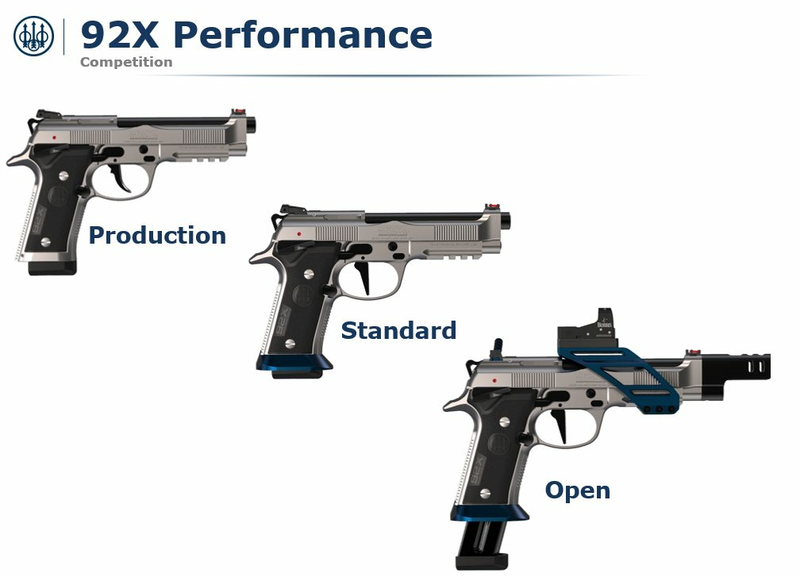 This might be the start of a comeback for non-1911 all metal target/competition pistols. Maybe the manufacturers see that the plastic gun market is completely saturated now and what's old is new again. CZ, Sig P210/X5, Walther Q5 Match and now the Beretta 92X. I'd like to see S&W start making their 3rd gen guns again. They'd totally dominate the market if they re-released their PC pistols. Those guns were born and breed for competition. I wonder if that optic bridge would fit on my Brig Tac- maybe with only two screws? I'd also almost rather prefer the slide controls in G fashion over the thumb safety. Hey Jon: Can you email that pic to me ? I couldn't agree more I love 3rd Gen Smith's. I likey!! I likey alot! It's not for you, it's so Jet Li can take your slide off easier . I've always admired the Beretta 92, especially the Inox versions. Can't say I'm a fan of the vertical front serrations or the match takedown lever, but everything else about this pistol has me wondering why it took Beretta so long to make this gun. But I'll likely end up with a railed one anyway...steel frame, vertec grip, frame mounted safety...Hits all my checkmarks for a new Beretta. Not sure I'll be adding one to the stable, but it's a step in the right direction. What somebody please explain the competition takedown lever? Is it angled to provide a thumb index point or something? Support thumb rests on it, allows you to apply pressure downward to help with recoil control. Although there is a "Vertec" slide, you are talking about the frame I think. First ugly Beretta in a while. I'm glad they're making a model with the frame mounted safety though. Hopefully that will trickle down. E. Weigh 43.00 oz. or less unloaded, with the heaviest magazine inserted. Only one I’ve found is the open-front one made by EGW - and none one that I know of makes baseplates that will fit it. See one of the steel 92 Biliennium models @ GB fo sale and it wears the frame mounted safety. Sharp looking pistol.